Orthodontics is a special branch of dental therapy associated with diagnosis and treatment of deformities related to the teeth, face and jaws. Individuals trained to correct these problems are called as orthodontists. They help in improving the functions of teeth, maintaining good dental health and providing aesthetic appeal to your smile. Orthodontic therapy can be successfully provided to individuals of any age. To decide if you need an orthodontic treatment, your dentist will enquire about your complete dental medical history, conduct clinical examination and order for X-rays or photographs of your oral cavity. Based on the need, your dentist will then recommend a suitable treatment plan. Orthodontic treatment includes different types of appliances which can be fixed for a certain period or removed on daily basis. 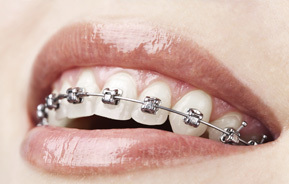 Your orthodontic specialist will suggest specific treatment based on the severity of your situation.